Good warehouse inventory management is an essential part of running an efficient fulfillment process. And efficient fulfillment means being able to process more orders with fewer mistakes, leaving you to focus on improving cash flow, selling more and making your customers happier! 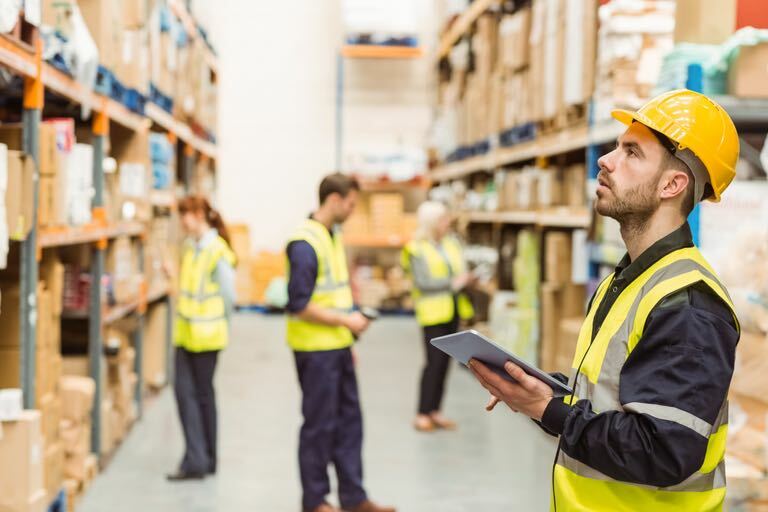 By using industry best practices of warehouse management, your business can address many, if not all, of your warehouse inventory management issues. Here are some of the main challenges that your business is likely to run into, and some tips for resolving them. Increase your business productivity and solve warehouse inventory management issues with TradeGecko. Make sure your warehouse layout is the most efficient and makes the most sense for your fulfillment process. Even small differences in where items are stored or the distance between varying fulfillment stations can affect the overall efficiency of your processes. Check out your sales reports to see what items move often and quickly, and place those in easily accessible spots. Place your packing station in a logical place in relation to where picking happens. Overall, it’s important to get your layout and planning right first before looking at any other aspects of warehouse management. Safety is another thing to keep in mind when planning your warehouse. Consider using a safety review checklist, which can include things like ensuring that everyone knows what the baseline safety standards are, establishing a committee focused on ensuring safety, and making sure instructions for emergencies are clear. When it comes to safety in the warehouse, think about communicating strongly and often about what’s needed to stay safe, and enforce these safety codes with regularity and clarity. You can install the best state-of-the-art inventory management system on the market; however, there will always be the human element in your operations. Well-trained, well-prepared staff will go a long way to ensuring your warehouse keeps running along smoothly. It is all about training the people who will be handling the inventory to deal with human errors. Your success in meeting the challenges of human error lies in ensuring that everyone knows how the system fits together and understanding how they can negatively or positively impact the results. Should you be losing the human touch? This doesn’t mean that you should reduce the amount of people fulfilling an order, but have a look through your process and make sure that the only people handling it are those that need to do so. 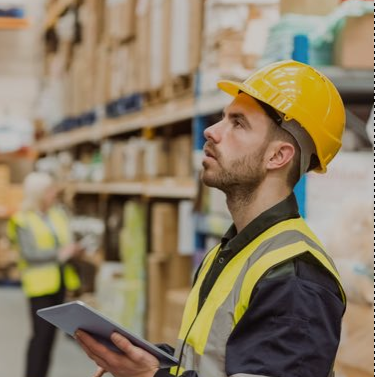 Properly configured inventory management software and a well-structured warehousing system are the best places to apply your efforts if you want to minimise touches on the orders that flow out of your warehouse. Industry standards are a excellent way to measure the efficiency of your own warehouse management. Here are some tried and tested best practices. By cutting out manual labelling and the keying in of numbers into your inventory system, you will remove yet another potential layer of human error. That aside, there are also substantial savings to be made in cutting manual labour time and the cost of those to the business. Try to automate processes where you can, especially when it comes to collecting and analyzing data. For example, choose the right barcode scanner. Paper and hands-free order selection doesn’t just deal with many of the problems associated with the human interpretation of order content. It also cuts down on time, freeing up operators to use both hands, making the whole order picking process far more efficient. According to Carl Marin of Advantage Business Media, “When you make the returns process quick and easy, you maintain your customer’s trust.” Efficient returns handling is about more than just getting the goods that the customer doesn’t want/need back to the warehouse. By promptly and automatically linking your returns to your warehouse inventory, you will achieve more efficient and accurate order fulfilment. Once the stock becomes part of your inventory again it can be allocated to other customers who require those products. By implementing and structuring a reliable, flexible, and scalable warehouse management software, you will be creating something that is vitally important to your business. That “something” is data, and the more connected and integrated your system is, the more relevant that data will be. As your business evolves and changes according to the demands of both customers and market forces, the correct use of the data you collect and correlate will become crucial. From keeping the customer satisfied and identifying emerging markets to costing and cash flow, accurate and up-to-date information will keep your business on the leading edge. Correctly and speedily fulfilling your customer’s orders, minimizing errors, and saving time will all come as standard when you implement the right system. All of these save you that one most important business commodity: time. Less time spent dealing with inventory issues means more time is available for the areas of your business that generate profit. The result will be increased productivity through a smoother supply chain and better cash flow, which are both great news for your business. Start a free trial at tradegecko.com to learn more about what TradeGecko can do for your business. 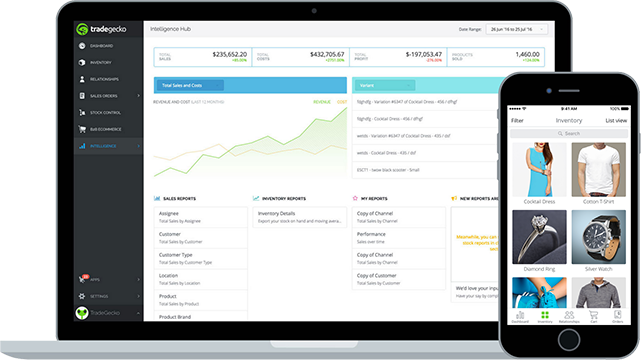 What accounting software is right for your eCommerce business? Enjoy a one stop inventory management solution! Save time and effort in warehouse management with TradeGecko.